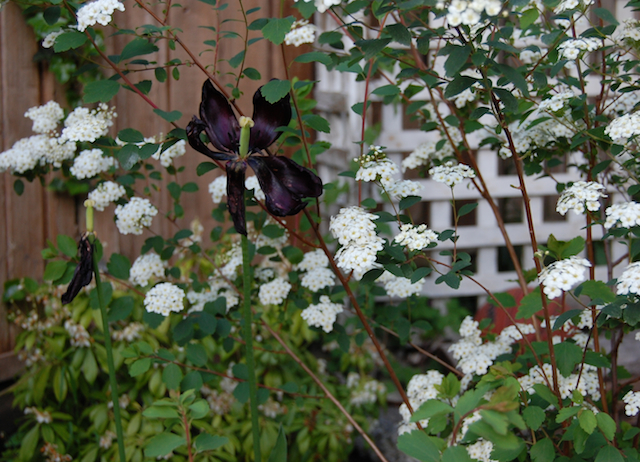 This is one of my favourite parts of gardening... the tulip is withering away and the spirea has sprung to life. And if you look closely, there's a basketball hiding in the garden too. That's life... well, my life anyway!